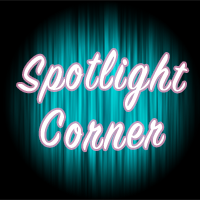 After a three month hiatus, I am proud to bring back SPOTLIGHT CORNER! 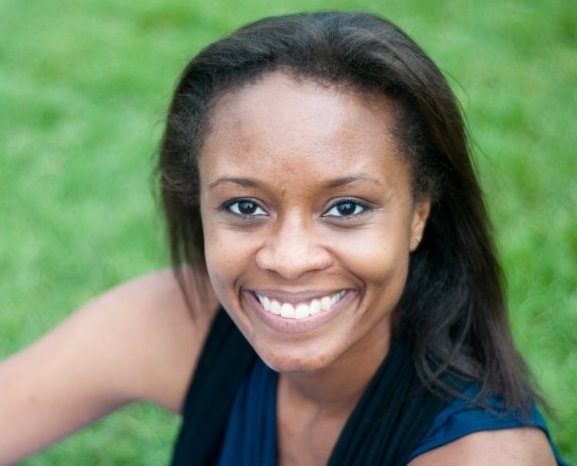 My first featured guest is Melanie Coffee Hesselberg AKA @sheswrite. I met Melanie on Twitter and I discovered we had a few things in common like: she’s African-American, she is in an interracial marriage, she is a mother, she is a blogger, she resides in Chicago (where my family so proudly hailed before they moved to San Francisco), and she has experienced something that I experience everyday in my local community being the wife of a caucasian man. Melanie wrote a piece for the Huffington Post on August 25, 2011 called My On-Again-Off-Again Relationship With White People that forever in my heart made her my kindred spirit. I want to be clear. This piece is NOT a piece of work that incites racism or hatred, it merely looks at Melanie’s experiences form her perspective as one half of an interracial couple and her experiences as an African-American woman. The flurry of feedback on the piece really gave me pause to think about my own experiences with both my husband and my own friends in terms of race relations. Her piece inspired me to have real life conversations about how I felt and what i hoped and dreamed for in terms of equality for my children. I could go on and on, but then you would never hear what Melanie has to say about blogging and when you are done reading this piece, I highly encourage you to click the links in this post to get to know her better. There’s a scary thing about blogging. At least for me there is. It’s the people who read it. I know, I know it sounds ridiculous. But I’m a writer. I write to write, not necessarily to be read. Esoteric? Perhaps, but it’s how I feel. So when I blog, I try to write without thinking of being read. In my job as a journalist I’m always thinking about the reader, trying to convey the facts objectively so that people can draw their own opinions and not simply digest what *I* think. This requires examining all phrasings to consider whether they can be misunderstood. With blogging, I put my fingers on the keyboard and just go. Clickety-clack-clack away. This past summer I was approached by an editor at The Huffington Post to write for their BlackVoices section. My first response: YIKES! On my personal blog I could whirr away at whatever I wanted, now writing about something as sensitive and personal as race to such a wide audience. Naturally, I figured I’d be an idiot to say no, but beyond the “yes,” what would I say? I was talking this over with my friends and finally settled on my relationships with white people. To stay true to my “voice” I tried to write just for myself. I tried not to think of how many people would read my post, what they might think. I simply wrote. When it was posted, it stirred up an amazing response. I got about 400 comments and it was an eye-opening conversation on race. I think that the comment section was more interesting than the piece. The response ranged from the racist, to the white people who said: “I’m trying to understand” to people who called me racist. When some of the negative comments started pouring in, I wondered, do I respond? Of course the first reaction is to defend yourself. My husband advised me to wait a bit. I did and I’m glad. Evenutally I decided not to respond to any of them. I figured that above the comment section I said what I had to say and below my writing was where people could have their say. It’s a line I decided not to cross. And I’m glad I didn’t. It was good to get people talking about race. I know of a few educators who passed this piece along to their high school and college students as a way of opening up the conversation. My Facebook page also had a good back-and-forth about it. I was really humbled by the response and how it helped start honest discussions. We need more of those, especially when it comes to issues such as race. All of this goes back to what inspired me to become a journalist. I wanted to help break down barriers and for me, that’s to do that through educating people. Teaching them something whether it’s a quick walk in my shoes, those of the Chicago superintendent, a single mom on welfare or a stroke survivor. Opening our hearts and minds to each other to foster more understanding. I think I’m getting a little too esoteric again. Nevertheless, I suppose that’s why I like to blog. It’s writing to write. Thanks for stopping by and sharing the SPOTLIGHT CORNER Melanie! For those of you that are reading this, thank you for stopping by and welcome to 2012! It has taken me two days to really focus on something to blog about. I wanted to do a year-end recap but the end of 2011 was not really enjoyable and it’s after effects are still being felt. In spite of having surgery and a minor setback with my recovery, moving to a smaller home and still trying to get rid of the excess “things” that have cluttered my families life, the final blow came on Christmas Eve when we were told that one of my son’s friends who is 21 years old and a new husband and father is dying of cancer. Needless to say 2012 is now all about perspective. So instead of the traditional resolutions I usually make, I am compelled to really look into myself and into my heart this year to make things better for not only myself but those around me. 1. I resolve, to help develop faith in GOD in my friends and family that are running low. 2. I resolve, to live my life to the fullest in spite of PTSD and my Anxiety Disorder. I resolve to be forthright about my struggles and no longer hide in the shadows. 3. I resolve, to work hard to maintain happiness in my life! I know that I am the only person responsible for my happiness. I am NOT responsible for the happiness of others, I am only responsible to make sure that my actions do not cause others to deliberately become unhappy. 4. I resolve, to continue to bring attention to affects, fight, and research of cancer in honor of Rich, my Mom and me. 5. I resolve, to continue to uncluttered my mind, my heart and my home of useless emotions and things. 6. I resolve, to concentrate on my physical health and I will shed the mental and physical weight that I have hidden behind. My time is now and I have no time to live in the past! 7. I resolve, to focus on things that make me a better person so that I can become a better friend, parent and partner. 8. I resolve, to push forward with my blog writing and novel writing. Being disciplined in my approach and stretching myself to write in genres I have never written. 9. I resolve, to continue to grow and learn something new daily. 10. I resolve, to live my life my way in 2012 and beyond! Everybody has a story. Our story is about: our experiences, our families, our triumphs, our challenges, our reactions to the daily occurences in our lives. We are Bloggers, more specifically we are BlogHers! We support each other, learn from each other, and encourage each other. Our stories are full of wonder. The wonder of who we are, what will we become, why will we become that way, where will our lives lead us and when will we know that we have become the person we’re destined to become. We prod along, learning, striving, living, existing and being the magnificent wonders that we are. One day we meet and share our stories online and become a unique member of a sisterhood/brotherhood that share similar experiences but seen through our own perspective. We are wonders now connected through thoughts, words, exchanges, and computers until a wonderful event like BlogHer happens. BlogHer is place to physically meet the people that we have shared our lives with online, a conference to celebrate the wonder of who we have become and to make tangible the connections that we have made through our blogs. I thought of this song today as I am siting at home thinking of the friends I’ve met this last month that are at BlogHer11. I celebrate each of you that are attending and those that could not for whatever reason! Our stories are powerful, our lives are truly full of wonder, and our laughter heals the world. Enjoy BlogHer11 Ladies. 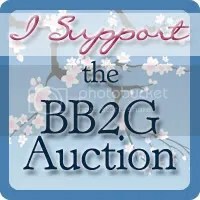 I will meet you at BlogHer12 in NYC next year and in the meantime I’ll see you here online! I started my blog because I had written a reflection on Father’s Day. As I wrote it I had been looking at all the well wishes on Twitter for Father’s Day. I also noticed a lot of single Mom’s speaking their experiences of “being” both parents to their children and at the complete opposite end of the spectrum were these fabulous odes to fathers. My story was different from any I had read and I wanted to tell it. That’s how The Musings And Ramblings of Sammie Love began. I’ve only been blogging for a month. But here is my advice for someone that is new and decides they want to start a blog. If you have twitter, there are tons of people there that have blogs. Check out those links and read away. Look at the design of other blogs. What images do they use? Are they affiliated with other blogs? Take note of what you like and what you don’t like about each blog. 3) Decide what platform you’d like to use. Is it a WordPress, Typepad or Blogger? What features do you want your blog to have? 4) Decide what message you want to send out to the world and make a writing schedule. Fact check, spell check, and grammar check! It’s important and readers notice. You never know, your high school English teacher may stumble upon your blog and won’t he/she be so proud of you for crossing your “T’s” and dotting your “I’s”. 5) Be true to yourself. Don’t pick a topic just because it’s a headline in the news. If you don’t have passion about the subject — don’t write about it! 6) Engage your readers. Ask their opinions. Make them feel welcome to comment on your blog. 7) Answer the comments that readers leave on your blog. It fosters your connection with them. Thank them for taking time to read your thoughts. 8) Talk with other bloggers! Find out about their successes and their lessons learned. 10) Exercise your voice! Say what’s on your mind and have a great time writing.